A Southdown ewe fetched what breeders believe was a record price at a one-off auction during the breed society’s recent South Island tour. 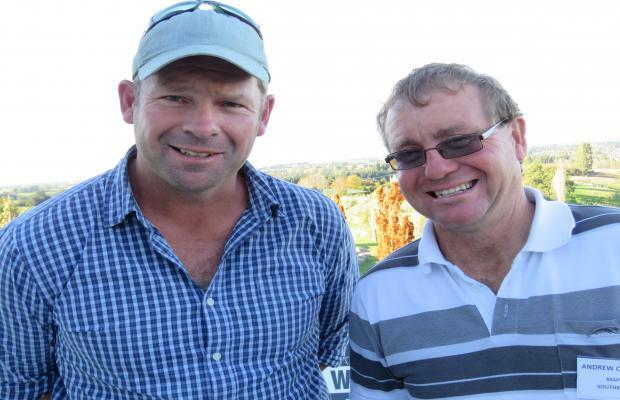 The two-tooth from Chris and Shelley Medlicott’s Clifton Downs stud was bought for $4400 by central Canterbury breeder Andrew Christey and Gisborne’s Andrew Powdrell. Christey said he wanted to introduce the ewe’s genetics to his Mapua stud flock at Southbridge and when he’d seen it and its twin at the Christchurch show he’d liked the phonotype too. 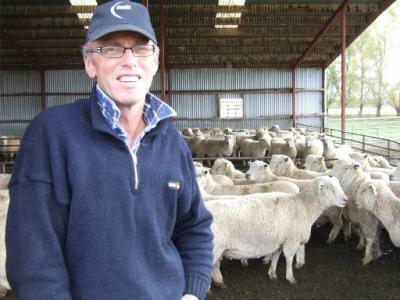 “I want her to produce rams that will work both commercially and stud-wise. “Commercial rams are our bread and butter and her bloodlines are top-notch,” Christey said. 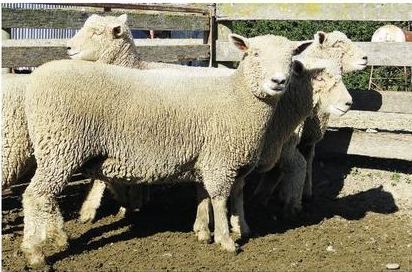 He and Powdrell agreed before the auction, conducted off-farm by PGG Wrightson at a lunch-stop on the tour, they would team-up to buy the ewe with Powdrell planning to take embryos for implantation in his Turiroa stud flock. “There was no point us bidding against each other and it’s pleasing that the money will go to a good cause,” Christey noted, reflecting on auction proceeds going towards tour costs and research by the society. 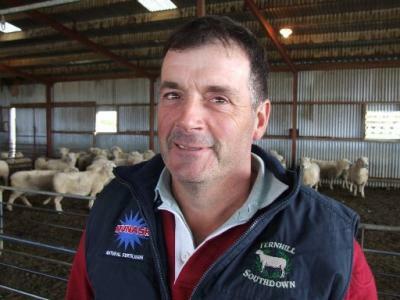 Newly elected Southdown Sheep Society president Todd Armstrong dismissed the suggestion the donation aspect of the sale inflated the price. “It was a genuine auction. Happy Buyers. Andrew Powdrell and Andrew Christey were satisfied with their days work. Another auction on the tour, held at John Macaulay’s Tahrua Stud, saw $2600 paid by Ian and Christina Jordan of Willowhaugh stud for a pick of a ewe lamb. Again the proceeds went to the society. “It was to raise funds to start investigating a combined approach to a recording scheme to benefit and involve all breeders,” Macauley said. The work could help find the best genetics across the breed for traits such as growth, meat quality, cold tolerance and sound feet. “We have to make things happen and continue to be proactive. Around 40 breeders enjoyed the fantastic Northern hospitality on our Annual Tour & AGM in May.